Its Oscar night... though we do not throw a party, or watch alot of it... heck I barely watch tv ... I have a few I am routing for... and then some that may be removed from Netflix too.. I have just a quick birthday card for you. 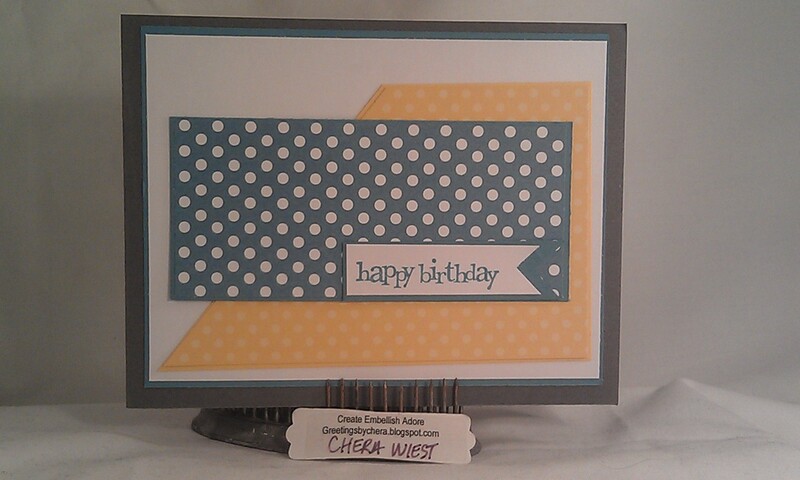 I used the great Polka Dot DSP from SU! Which is so much fun! It went great with the CAS(e) this sketch, that really made me think... and I almost gave up... but it came together quickly once I figured out which way for my layout... whew... thank you for the help Karolyn! 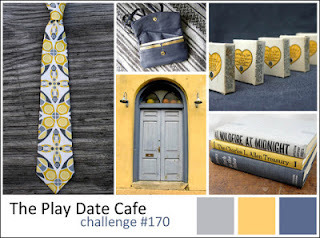 I used the color Challenge from PlayDate Cafe. 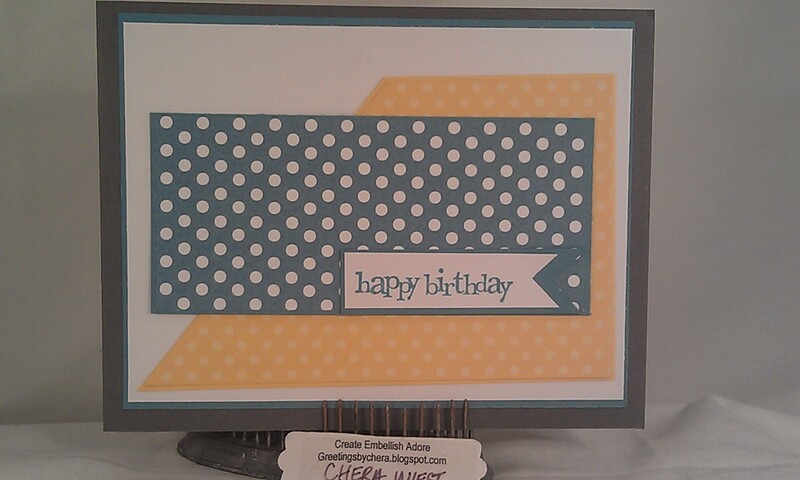 The blues and yellow have me thinking masculine so I went with Polka dot. Just in case I may need a teen card... who knows... put it in the stash!!! I didn't have twine to add to my project, in any of the challenge colors! BOO HOO!! 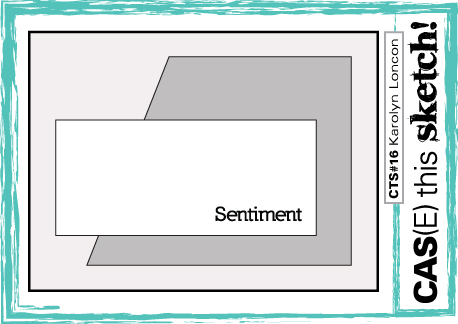 great sketch with this masculine card. I hadn't thought of it being masculine colors but I'll definitely have to remember it as it is perfect. 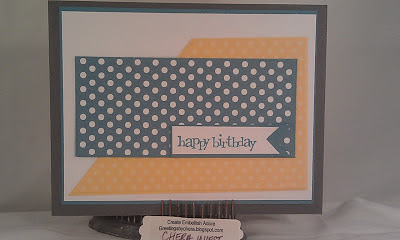 Love the use of the different sized polka dots - really fun and cheery! Thanks so much for playing along with us at CAS(E) This Sketch this week! 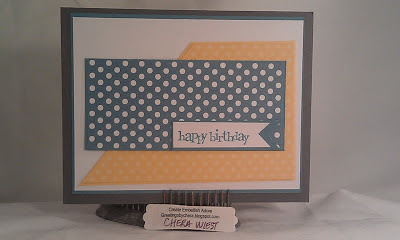 Great use of the sketch and I love those polka dots! 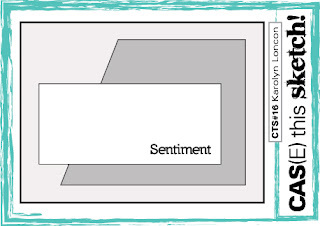 We are happy to have you this week at CAS(E) this Sketch! Love the soft colours. great take on the sketch. So glad you played along with us @ CAS(E) this Sketch! Thank You! Great use of the colors and I love those dots. Thanks for playing at the play date cafe.